Every day another prominent guy is forced to admit how his desire got the best of him. Today I must reveal my secret passion. I have had a lifelong affair with fruit. I was reminded of this a couple days ago when I was in the produce department of Bizio’s, my local fruit seller of choice. He had THE BLUEBERRIES. I am very fussy about all my berries, and I usually shun blueberries in December in Chicago because they shlep them in from Argentina or Mexico and by the time I buy them they are flat and tasteless. But occasionally in December and January Driscoll Blueberries arrive and they are plump and taste like the best of Southwest Michigan berries in July. Really, they are even better, because they come so unexpectedly, and from Mexico no less. When I find them I’m like a bear with a honeycomb. I want them all. So I buy almost every little carton on the shelf, price be damned, because these are my treasures of winter. I love almost every berry at its peak. Frankly, I love almost every fruit in season. This past summer I went absolutely bonkers over watermelon — Black Diamond seedless, to be specific. For almost eight weeks I was virtually delirious for those 15 pound bundles of dark pink joy. I sliced the melons into big sensuous chunks and pigged out for breakfast, lunch, and after dinner. Probably gained five pounds over two months on my Black Diamonds, but worth it. Then there is my apple period. August, September, October, I infest the local farmers markets checking out the reddish treasure. Honeycrisps are my faves, but I’ll accept anything except the most vile apple on the planet, “Delicious.” Has there ever been a more inappropriate adjective for a fruit? If a farmers market seller even grows Red Delicious I will avoid them like Measles. Why even have a tree if it gives fruit as utterly cardboardy as that sickly variety that should only be exported to China for Pandas. If there is an antidote for awful apples it is perfect pears. Bartlett’s are rather prosaic for me, but they are succulent and tasty, sliced any way you want. Wonderful with a soft cheese. Anjou are a little Franco, but just as marvelous, and a Bosc if peeled will duel the best of them. But for me the princess of pears is the Comice. The skin is a little rough like the Bosc, but if you hit the ripeness on the button, that pear has no peer. They sell for a premium, but the flavor of a Comice puts me in blissful state. Can you ask for more from any fruit? I am a nut for fruit from trees. Oranges are back in season now and I am going bananas for Mandarins with the stems left on them and the spectacular Cara Cara orange, which is a cross between a grapefruit and a blood orange. Sweet and a little sour at the same time with a marvelous pink color. I cannot leave out the often overlooked grapefruit. Texas Ruby Reds are back in season and I am an avid buyer. They take a little time to section, but nothing good comes without effort. I’ll finish my fruity ode with my love of strawberries. I am suffering at the moment because I haven’t had any decent strawberries in months. Unlike the blessed blueberries that come out of nowhere for a week or two in December, winter strawberries are invariably crappy. My regrets to peaches which I adore over their oh so short season, but I had to leave out something. And Pomegranates. Sorry, you are just too seedy. Tell me about your fruit fetish. I am still exploring. 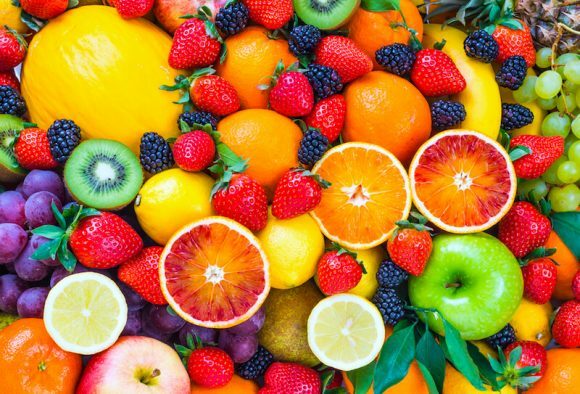 What are your favorite fruits? Why? What fruits do you hate? I have a small orchard, and it’s hard to beat succulent peaches straight off the tree. Good apricots seem to be very hard to find, and I live in southern California where we do get good local fruit. I don’t know why they only seem to be found in dried, in jam or in yogurt, but so rarely fresh. Perhaps they don’t travel well or just aren’t trendy these days. I should probably just plant my own tree. When I lived in Europe I seemed to find good fresh apricots more often, but then again apricots were also commonly used to brew a fruit brandy so perhaps that’s why they were more prevalent. Freestone peaches from south Georgia in the peak of the season, my mouth is watering thinking about them. Black raspberries are by far my favorite fruit. As high quality ones are difficult to purchase, at least in Southwestern PA, I maintain two patches which produce about 50 to 70 pints each per season. Also, I grow an sufficient amount of blueberries to provide a fresh supply during an extended summer season plus enough to freeze to last through the winter. Although I do not have my own strawberries, the locally grown ones are excellent. Unfortunately, it’s a short season for strawberries. Lloyd at least your desire will not ruin your marriage or reputation. Fondling some melons or apples at the store is not a crime or immoral. I agree with you on apples. Honeycrisps were developed here in Chanhassen by the U of M.
Northwest Washington has strawberries, raspberries and blueberries that go in season starting in May and go through October at farmer’s markets. Heavenly time for fruit here. Of course there’s always a price to be paid so for the next day or so I have to remain within one cancover of the bathroom. What’s a “cancover” you injudiciously ask? It’s the distance I can cover before disaster. Chocolate covered strawberries when the strawberries are in season here in CT. I am a fruit lover, too. Avocados (technically a fruit) are delicious, very nutritious, and very low on sugar which is sometimes desirable. However, they must be eaten exactly when ripe which is a window of about 2 days – very unforgiving before or after ripeness, so must be very careful when buying and tricky to time the ripeness for an upcoming event. Costco tends to be pretty good much of the year. Grapes are usually tasty and are often good for most of the year. Easy to eat at your desk.